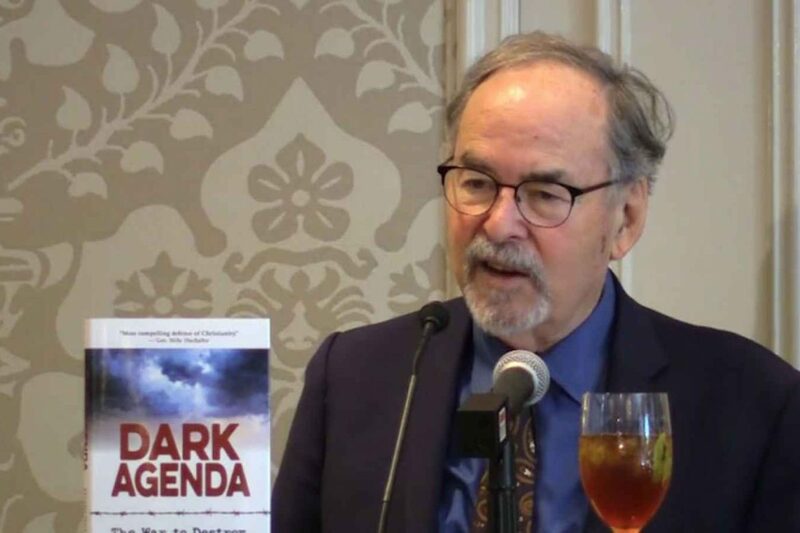 Front Page Mag: David Horowitz Unveils The Left’s Dark Agenda……. – The Tundra Tabloids……. Front Page Mag: David Horowitz Unveils The Left’s Dark Agenda……. Anything that the Left touches turns to crap…. Freedom Center founder reveals progressives’ war to destroy Christian America. Readers of my new book “Dark Agenda” might wonder how an agnostic Jew and ex-radical came to write about the war to destroy Christian America. Once I recognized the destructive character of the radical movement I had been part of forty years ago, I began a re-examination of everything I and my comrades had thought about the system we had set out to destroy. In the course of this inquiry, I had a kind of epiphany. Thinking about the unalienable rights to life, liberty and the pursuit of happiness, which even radicals cherished, I realized that these rights were only unalienable because they were given by a Divinity – by God. If they were granted by government, then government could take them away. It was a simple idea to understand but not so simple to embrace. Even though I was an agnostic, I had to face the fact that without a belief in God, or respect for such a belief, these rights could not exist. Without respect for believers and their belief, without respect for the Christians who created this country, our most cherished rights would have no foundation and could not be defended. And that was just the beginning of my second thoughts. Ninety-eight percent of the people who settled and created America were protestant Christians fleeing religious persecution. Every element of our democracy – pluralism, inclusion, diversity, equality and protection for minorities – is Christian in origin, and more specifically a direct product of the Protestant Reformation. Next Post Next Post Robert Spencer: ISIS Caliphate’s Dream Is Over….